In a special situation, we may offer Colorado Springs pro bono mobile notary public services at reduced cost, or no cost, for customers experiencing financial hardship, medical hardship, disaster, other hardship, or for humanitarian or charitable reasons. A hardship is something that is hard to do, or to endure, due to severe pain, suffering, loss or difficulty. Humanitarian or charitable reasons include causes that benefit human welfare to reduce suffering, and maintain human dignity, including disaster relief, and aiding the sick, poor, needy and helpless. A notary shall not discriminatorily condition the fee for a notarial act on the attributes of the principal, though a notary may waive or reduce fees for humanitarian or charitable reasons. A notary may be selective in choosing pro bono cases, but the selection criteria must not be based on illegal discrimination. The maximum notary fee is set by state law, but the notary fee may be reduced or waived. Providing no-cost or low-cost notary public services is known as pro bono publico, or simply pro bono, which in Latin means for the good of the public. For pro bono services, skills of trained professionals are used to provide services to those who are unable to afford them. Some notaries also volunteer their time, energy, skills and knowledge doing other community services, volunteer work, or mentoring new notaries. 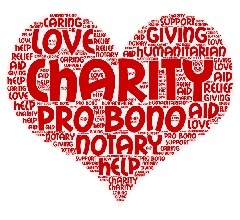 If a notary is willing to waive or reduce the notary fee or travel fee for you, and provide Colorado Springs pro bono mobile notary public services, please consider thanking the notary, using a method other than payment. You may request some extra business cards from the notary and give them to your family, friends, and associates. Word of mouth advertising helps a small business owner. If you are experiencing a temporary hardship, choose that mobile notary again when the hardship passes. You might add a Facebook Like, Share, Twitter Follow, Share, Google+ Share, +1, LinkedIn Share, or other social media approval, or a link to your web page. If you are in a hardship situation in Colorado Springs, please make a request for pro bono mobile notary service, so that we are aware of your situation. 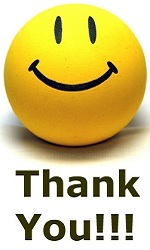 When appropriate, we will make a gift or donation of our mobile notary services, and send you our good wishes.